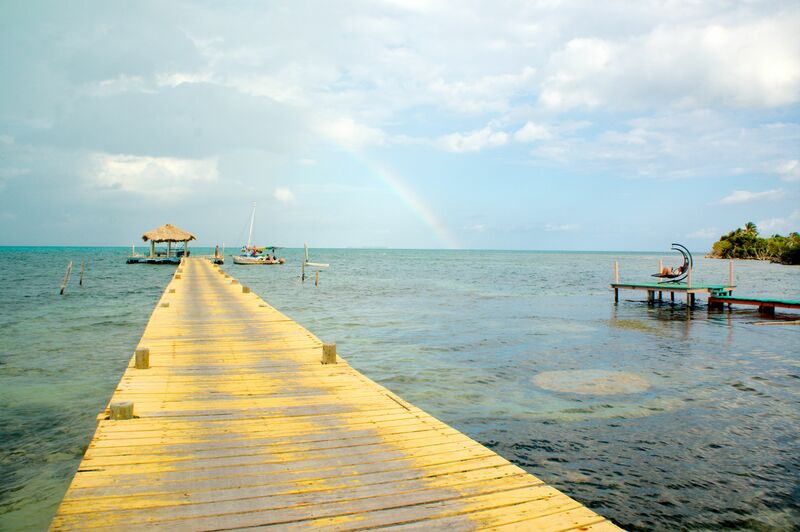 Victoria Erb stood in the back of the boat with her classmates and watched three sharks cut through the crystal clear water of Belize’s Great Blue Hole. The senior biology major then did the one thing the vast majority of people in this situation absolutely would not do. Assisted by funding from Wake Forest’s biology department, the Center for Energy, Environment and Sustainability (CEES), and the Center for Global Programs and Studies, Erb and 14 of her peers traveled to Belize’s Lighthouse Reef Atoll, part of Belize’s Barrier Reef, to study an estimated 500 species of reef fishes and 86 species of soft and hard corals. 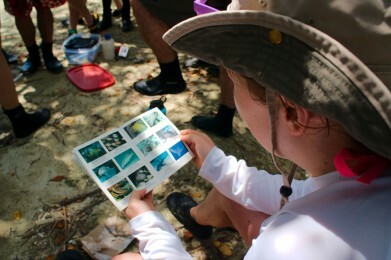 The Blue Hole was one of many stops the students, currently taking the Ecology and Conservation of Coral Reefs class, made during the spring break trip. CEES scientists conduct research at Lighthouse Reef Atoll on how human activities influence the function of marine ecosystems on a local-to-global scale. Erb and her classmates helped to monitor the diversity and abundance of fish species located in marine protected areas such as Half Moon Caye, a tropical island sanctuary declared a UNESCO world heritage site in 1996. Perlman’s Ph.D. dissertation is on a peculiar species of fish called the mangrove rivulus that makes its home in the mangrove swamps that dot the Atoll’s numerous sandy cayes. Scientists previously discovered the mangrove rivulus could breathe through its skin, enabling it to live on land in a relatively moist environment for up to 66 days. Perlman’s work focuses on how the 3-inch rivulus moves across the ground once its gets there. 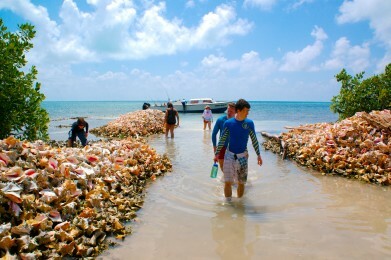 He took a group of students through the knee-deep mud of a mangrove swamp on Lighthouse Reef’s Northern Caye to gather rivulus samples for his research. They managed to collect tissue samples from a single rivulus. Perlman said the plan is to send the sample to a colleague at the University of Alabama who will run DNA tests. 3-D models created by a drone aircraft will help researchers monitor the impact of development. Mangroves are a crucial element of the life history of many of the reef fish species. They serve as a refuge for juvenile fish before they move out on to the reef, where they spend their adult lives, said Miriam Ashley-Ross, an associate professor of biology who teaches the Ecology and Conservation Biology of Coral Reefs course. And yet, despite their importance as refuges for countless species of fish such as the rivulus, mangrove forests are not typically viewed as valuable and are threatened by development. Researchers with Wake Forest’s Small Unmanned Aerial Systems (SUAS) Lab used a drone aircraft to create a detailed, three-dimensional model of several of these areas. For her part, Erb said the spring break trip helped her realize the critical importance of protecting this fragile ecosystem now rather than later.